Enjoy Ishigaki Beef in Okinawa on Ishigaki Island! With the popularity of Ishida Kobe beef, Ishida and Ishidaya have opened restaurants in Okinawa on the Island of Ishigaki at 730 COURT. For guests that would like to enjoy delicious meat on Ishigaki Island, they have come to the right place. Ishigaki beef is among the highest quality beef in the world, with the marbled beef providing a refreshing and addictive sweetness and umami that you won’t soon forget. Guests can enjoy premium wagyu, such as Kobe beef and Ishigaki beef for lunch or dinner. 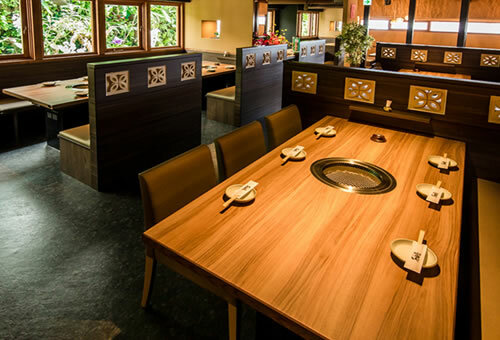 You have the choice of “teppanyaki” where master chefs grill the meat to perfect in front of you, or “yakiniku” where guests can enjoy grilling it themselves. We welcome all those visiting Ishigaki Island to Ishida to savor the luxury cuisine and atmosphere. Guests can enjoy an assortment of outstanding fresh food and variety of premium beef, including carefully selected JA certified Ishigaki beef, Ishigaki Black Beef Wagyu, and carefully selected beef by Ishidaya. 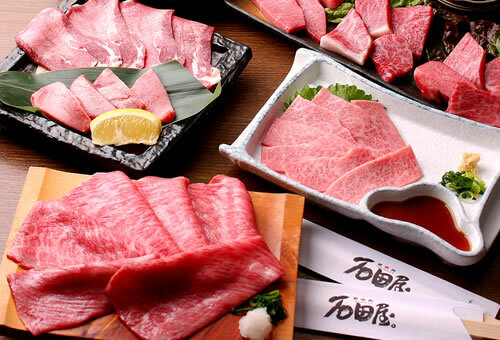 Choose either “yakiniku” (Japanese barbecue) where you grill the meat yourself or “teppanyaki” (Japanese steakhouse) where expert chefs cook the meat for you right before your eyes. Any additional orders made for food or drink at the restaurant can be paid in cash or credit card.